TOPIC: Perfect Perspective: Concave Shader possible? Is there a way to modify PerfectPerspective to get a concave curvature instead of convex? Entering negative values doesn't work, unfortunately. Would be perfect for Alien: Isolation or Resident Evil 7 where fisheye shaders makes it hard to align MXAO properly. It is possible, but I don't see the point. 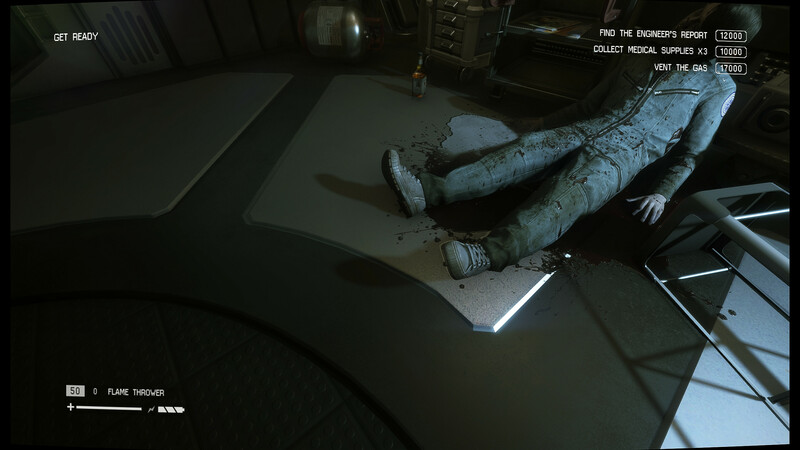 Alien Isolation does not have fisheye distortion in my opinion. Resident has, but I believe you can disable it in graphics settings under some post process quality. The MXAO pass definitely doesn't fit the final output image. Using PP to fix the issue in the center of the screen makes it worse on the outside. You should really try and have a look for yourself. As it stands now it seems impossible to get a perfect alignment and I've spent more time with it than I'd like to admit. Changing graphics options like CA or changing FOV unfortunately doesn't help. Also there's no option to change fisheye in RE7 or if there is it won't help either. Last Edit: 2 months 2 weeks ago by Uncle Crassius. Alright, I can die (kinda) happy now. Using Alias Isolation actually gets rid of the distortion effect (seemingly the source of that abysmal aliasing) providing not only an anti aliased image but also anti misaligned MXAO. You'll notice the distortion in this comparison between vanilla and Alias Isolation. Good to hear you found a solution. Regarding other games, I will soon release a shader (not related) that can do just that pincushion distortion. Last Edit: 2 months 1 week ago by Fu-Bama. New shader always sounds good. Looking forward to it. Also yeah, Cinematic Tools are a must have for screenshotters. Matti Hietanen, the author, runs a website with adjusted tools for several other games. Barrel distortion effect I think is what it's called, Duncan from DeadEndThrills posted a Cheat-Engine photo mode table from his Twitter account way back when the game was released that among other things disabled that though patches and such would likely have made it incompatible. Glad to hear Alias Isolation in addition to improving the SMAA T2X implementation also removes that little screen effect. Last Edit: 2 months 1 week ago by JBeckman. This shader can produce pincushion distortion if you disable all effects beside "Perspective distortion"
then set "Lens distortion power" to 0 and play with "Radial correction". Each number corresponds to a radial range from the center. So first number will affect almost whole image, while the last one, borders of the screen. Trick is to move gradually from center to the corners when correcting the image.